Hi there! Today we discuss the rotation of asteroids. You know, these small bodies are funny. When you are a big body, you are just attracted by your siblings. The Sun, the planets, etc. But when you are a small body, your life may be much more chaotic! Such small bodies not only experience the influence of gravitational perturbations, but also of thermal effects, especially when they are close enough to the Sun (Near-Earth Objects). Not only you have radiation pressure of the Sun, due to the electromagnetic field, but also a torque due to the difference of temperature between different areas of the surface of the small body. Investigating such effects is particularly tough, since it depends on the shape of the asteroid, which could be anything. Shape, surface rugosity, thermal inertia… and the rotation state as well. When you face the Sun, you heat, but with a delay… and meanwhile, you do not face the Sun anymore… you see the nightmare for planetary scientists? Well, actually, you can say that it is not a nightmare, but something fascinating instead. You bypass such difficulties by making simplified models, and if you have the opportunity to compare with real data, i.e. observations, then you have a chance to validate your theory. Today I present Systematic structure and sinks in the YORP effect, by Oleksiy Golubov and Daniel J. Scheeres. This study, published in The Astronomical Journal, tells us that sometimes the thermal effects may stabilize the rotational state of the asteroids. As I said, the most important of the thermal effects, which are experienced by small asteroids (up to some 50 km), is the Yarkovsky effect. The area which faces the Sun heats, and then reemits photons while cooling. The reemission of these photons pushes the asteroids in a direction, which depends on the rotation of the body. As a consequence, this makes the prograde asteroids (rotation in the same direction as the orbit) spiral outward, while the retrograde ones spiral inward. The consequence on the orbits is a secular drift of the semimajor axis, which has been measured in some cases. The first measurement dates back to 2003. The small asteroid (530 m) 6489 Golevka drifted by 15 km since 1991, with respect to the orbital predictions, which considered only the gravitational perturbations of the surrounding objects. This effect had been predicted around 1900 by the Polish civil engineer Ivan Osipovich Yarkovsky. And now: YORP. YORP stands for Yarkovsky-O’Keefe-Radzievskii-Paddack, i.e. 4 scientists. This is the thermal effect on the rotation. 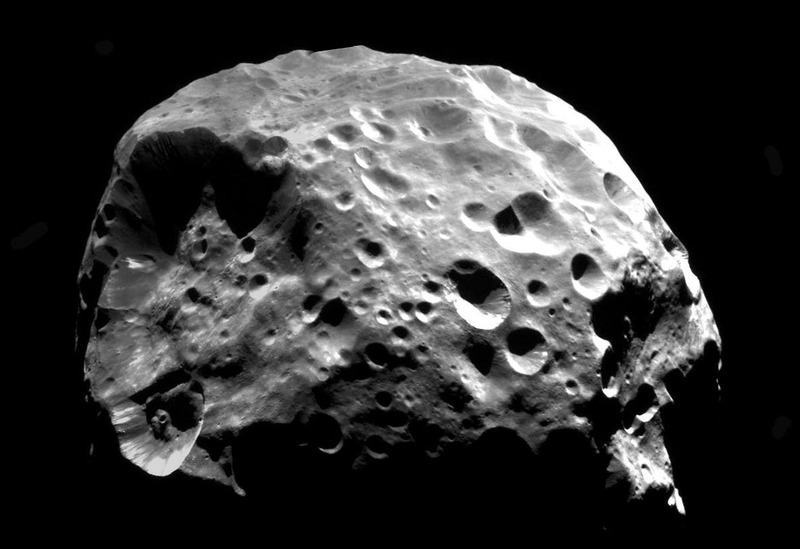 Most of the asteroids have irregular shapes, i.e. they do not look like ellipsoids, but rather like… anything else. Which means that the reemission of photons would not average to 0 over a rotational (or spin) period. As a consequence, if the asteroid is like a windmill, then its rotation will accelerate. Rotational data on Near-Earth Asteroids smaller than 50 km show an excess of fast rotators, with respect to larger bodies. And theoretical studies have shown that YORP could ultimately destroy an asteroid, in making it spin so fast that it would become unstable. The outcome would then be a binary object. This is anyway a very-long-term effect. In fact, when the rotational energy is not high enough to provoke the disruption of the asteroid, the theory of YORP predicts that the rotational states experience cycles, over several hundreds of thousands years. During these cycles, the asteroid switches from a tumbling state, i.e. rotation around 3 axes to the rotation around one single axis, and then goes back to the tumbling states. These are the YORP cycles, which are not really observed given their long duration. But the authors of this study tell us that these cycles may be disrupted. The authors recall us that the YORP effect, which generates these cycles, is in fact the normal YORP. There is a tangential YORP as well. This tangential YORP (TYORP) is due to heat transfer effects on the surface, which results in asymmetric light emission. This yields an additional force, which alters the rotation. And the consequence is this: when you add the TYORP in simulating the rotational dynamics of your asteroid, you get equilibriums, i.e. rotational state, which would remain constant with respect to the time. In other words, under some circumstances, the rotational state leaves the YORP cycles, to remain locked in a given state. These states would have a principal rotation axis, which would be either parallel to the orbit, or orthogonal. In this last case, the rotation could either be prograde or retrograde. This study suggests that the authors have predicted a rotation state. It would be good to be able to test this prediction, i.e. observe this rotation state among the asteroids. The study does not mention any observable evidence of this theory. As the authors honestly say, this is only a first taste of the complicated theory of the YORP effect. Additional features should be considered, and the mechanism of trapping into these equilibriums is not investigated… or not yet. Anyway, this is an original study, a new step to the full understanding of the YORP effect. and the one of Daniel J. Scheeres. Hi there! Today, we are back to the Solar System, and more especially the Kuiper Belt. You know, all these small bodies, which orbit beyond Neptune. Instead of speaking of specific cases, like Pluto, Haumea or Sedna, we will see the Kuiper Belt as a whole. The study I present, Mass of the Kuiper Belt, by E.V. Pitjeva and N.P. Pitjev, constrains its total mass with planetary ephemerides. This study has been recently published in Celestial Mechanics and Dynamical Astronomy. I have presented the Kuiper Belt many times. These are objects, orbiting beyond the orbit of Neptune. This zone is named after the Dutch-American astronomer Gerard Kuiper, who hypothesized that it could have been a reservoir of comets, even if he thought that it would be almost clear. At that time, the only known Kepler Belt Object was Pluto. Now, more than 2,000 of them are known, and many more are probably to be discovered. Most of these objects orbit between 30 and 50 AU (astronomical units) from the Sun. This study wants to constrain the total mass of the Kuiper Belt, from the motion of the planets. For that, the authors built and used planetary ephemerides. Institute of Applied Astronomy, Russian Academy of Sciences. JPL stands for Jet Propulsion Laboratory. It is located near Pasadena, CA, and is associated with the Californian Institute of Technology (CalTech). As part of NASA, it is associated with the American spacecraft. The IMCCE, for Institute of Celestial Mechanics, is responsible for the French ephemerides. It has been founded in 1795 as the Bureau des Longitudes, in a context of rivalry between France and England. Its goal was then to assist France, to regain control of the seas. And the Institute of Applied Astronomy, in Russia, is the place where this study has been conducted. These 3 institutions provide their own ephemerides, i.e. solutions for the orbital motion of the planets, their satellites, the asteroids,… Now, let us see how to include the Kuiper Belt. The authors by-passed this problem in modeling the Kuiper Belt as a ring. Not the whole Kuiper Belt actually. The 31 most massive of these objects are modeled as point masses, ans the remaining ones are embedded into a fictitious rotating ring, which mass perturbs the planets. The authors maintain their ephemerides since many years, and each new version is enriched with new data. The current version, EPM2017, uses about 800,000 positional observations of planets and spacecraft, ranging from 1913 to 2015. Many of the observations of planets are Earth-based astrometric observations, while spacecraft observations include MESSENGER (mission to Mercury), Venus Express (to Venus), Cassini (to Saturn), and the Martian missions Viking-1 & 2, Pathfinder, Mars Global Surveyor, Odyssey, Mars Reconnaissance Orbiter, and Mars Express. Very small objects like spacecraft are very sensitive to planetary perturbations, this is why their navigation data may be invaluable. Making ephemerides consists in fitting a dynamical model to data, i.e. observed positions. The dynamical model is mainly composed of the gravitational interactions between the planetary bodies, with some relativistic corrections (Einstein-Infeld-Hoffmann equations). These interactions use the masses of the objects as parameters. When you want to fit the model to the data, you fit the initial conditions, i.e. the location of the objects at the beginning of the simulation, and some of the parameters. Why only some of them? It depends on how well you know them. 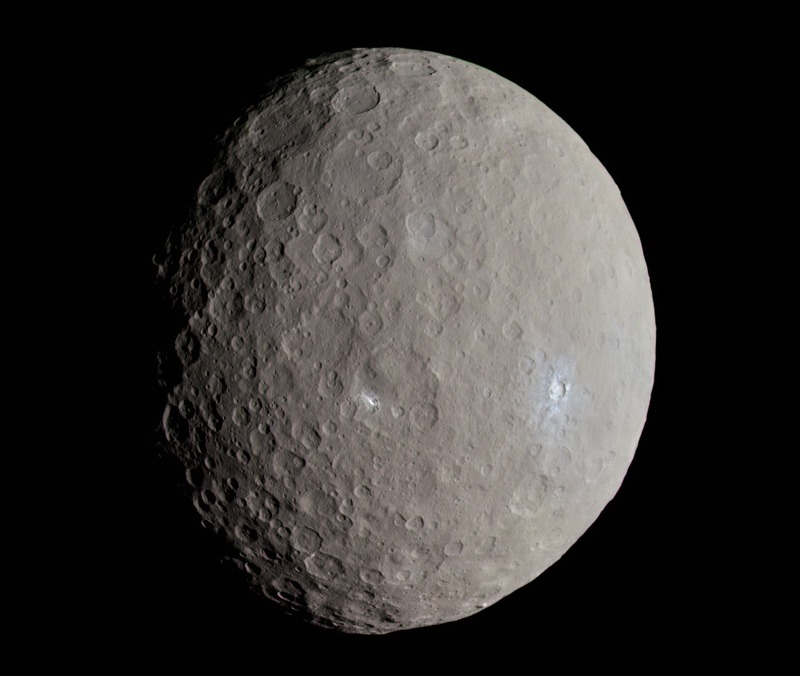 For instance, in this case, the mass of (1)Ceres is assumed to be accurately known, thanks to the Dawn mission (just finished, by the way). This means that fitting this mass would be counterproductive. So, the authors have to make critical choices between what they fit and what they don’t, and also how they ponder the observations between each other. fitting the ephemerides gives much smaller numbers. You can find below the outcomes of the previous studies and this last one, by the same team. the numbers do not converge very fast, but they converge. In particular, each new measurement is consistent with the previous one, and the uncertainty tends to shrink. Slowly, but it shrinks. This number of 0.02 Earth mass makes the Kuiper Belt about 2 orders of magnitudes (i.e. between 10 and 1,000) heavier than the Asteroid Main Belt, but some 3 orders of magnitude lighter than the proposed Planet Nine. You remember the Planet Nine? It is a yet undiscovered body, which is supposed to exist anyway. 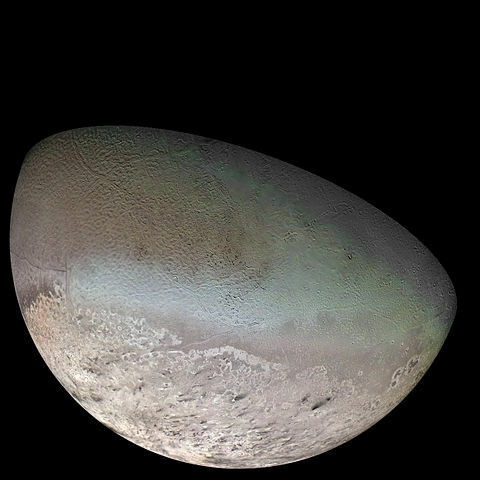 It should orbit far behind the orbit of Neptune, should be as massive as 10 Earth masses, and would be responsible for the clustering of the pericentres of the Trans-Neptunian Objects (the Kuiper Belt), and for the obliquity of the Sun. In this study, the authors benefited from the very accurate navigation data of the space mission Cassini, which orbited Saturn until September 2017. And for Cassini, the Kuiper Belt has a much stronger influence than the hypothetical Planet Nine. This makes me think that the author believe that using such ephemerides is not a good strategy for constraining the Planet Nine. Actually, the planetologists looking for the Planet Nine focus on the individual trajectories of the Kuiper Belt Objects, because these are the most sensitive to it. and the ResearchGate profile of Nikolaj P. Pitjev. Hi there! You may have heard of the coorbital satellites of Jupiter, or the Trojans, which share its orbit. Actually they are 60° ahead or behind it, which are equilibrium positions. Today we will see that dust is not that attached to these equilibrium. This is the opportunity to present you a study divided into two papers, Dust arcs in the region of Jupiter’s Trojan asteroids and Comparison of the orbital properties of Jupiter Trojan asteroids and Trojan dust, by Xiaodong Liu and Jürgen Schmidt. These two papers have recently been accepted for publication in Astronomy and Astrophysics. Jupiter is the largest of the planets of the Solar System, it orbits the Sun in 11.86 years. On pretty the same orbit, asteroids precede and follow Jupiter, with a longitude difference of 60°. These are stable equilibrium, in which Jupiter and every asteroid are locked in a 1:1 mean-motion resonance. This means that they have the same orbital period. These two points, which are ahead and behind Jupiter on its orbit, are the Lagrange points L4 and L5. Why 4 and 5? Because three other equilibrium exist, of course. These other Lagrange points, i.e. 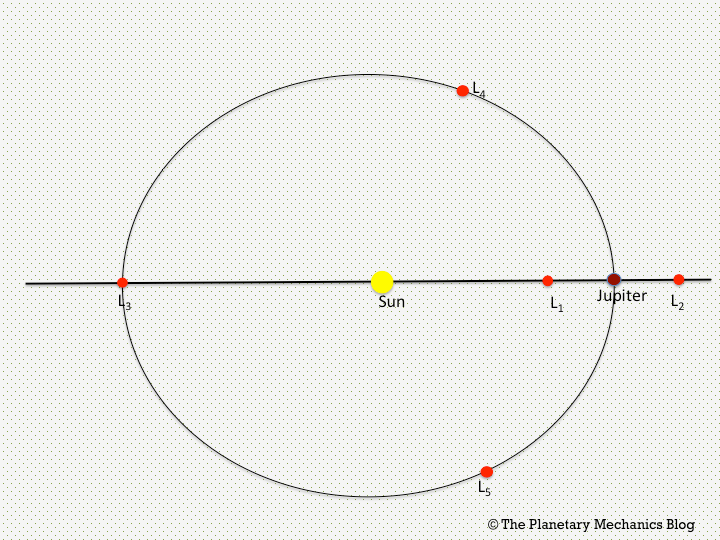 L1, L2, and L3, are aligned with the Sun and Jupiter, and are unstable equilibrium. It is anyway possible to have orbits around them, and this is sometimes used in astrodynamics for positioning artificial satellites of the Earth, but this is beyond the scope of our study. At present, 7,206 Trojan asteroids are list by the JPL Small Body Database, about two thirds orbiting in the L4 region. Surprisingly, no coorbital asteroid is known for Saturn, a few for Uranus, 18 for Neptune, and 8 for Mars. Some of these bodies are on unstable orbits. Understanding the formation of these bodies is challenging, in particular explaining why Saturn has no coorbital asteroid. However, once an asteroid orbits at such a place, its motion is pretty well understood. But what about dust? This is what the authors investigated. When a planetary body is hit, it produces ejecta, which size and dynamics depend on the impact, the target, and the impactor. The Solar System is the place for an intense micrometeorite bombardment, from which our atmosphere protects us. Anyway, all of the planetary bodies are impacted by micrometeorites, and the resulting ejecta are micrometeorites themselves. Their typical sizes are between 2 and 50 micrometers, this is why we can call them dust. More specifically, it is zodiacal dust, and we can sometimes see it from the Earth, as it reflects light. We call this light zodiacal light, and it can be confused with light pollution. It is difficult to estimate the production of dust. The intensity of the micrometeorite bombardment can be estimated by spacecraft. For instance, the spacecraft Cassini around Saturn had on-board the instrument CDA, for Cosmic Dust Analyzer. This instrument not only measured the intensity of this bombardment around Saturn, but also the chemical composition of the micrometeorites. Imagine you have the intensity of the bombardment (and we don’t have it in the L4 and L5 zones of Jupiter). This does not mean that you have the quantity of ejecta. This depends on a yield parameter, which has been studied in labs, and remains barely constrained. It should depend on the properties of the material and the impact velocity. The small size of these particles make them sensitive to forces, which do not significantly affect the planetary bodies. Classical planetary bodies are affected (almost) only by gravitation. Their motion is due to the gravitational action of the Sun, this is why they orbit around it. On top of that, they are perturbed by the planets of the Solar System. The stability of the Lagrange points results of a balance between the gravitational actions of the Sun and of Jupiter. The Solar radiation pressure is an exchange of momentum between our particle and the electromagnetic field of the Sun. It depends on the surface over mass ratio of the particle. The Poynting-Robertson drag is a loss of angular momentum due to the tangential radiation pressure. The Solar wind is a stream of charged particles released from the Sun’s corona, and the Lorentz force is the response to the interplanetary magnetic field. You can see that some of these effects result in a loss of angular momentum, which means that the orbit of the particle would tend to spiral. Tend to does not mean that it will, maybe the gravitational action of Jupiter, in particular at the coorbital resonance, would compensate this effect… You need to simulate the motion of the particles to know the answer. And this is what the authors did. They launched bunches of numerical simulations of dusty particles, initially located in the L4 region. They simulated the motion of 1,000 particles, which sizes ranged from 0.5 to 32 μm, over more than 15 kyr. And at the end of the simulations, they represented the statistics of the resulting orbital elements. This way, the authors have showed that, for each size of particles, the resulting distribution is bimodal. In other words: the initial cloud has a maximum of members close to the exact semimajor axis of Jupiter. And at the end of the simulation, the distribution has two peaks: one centered on the semimajor axis of Jupiter, and another one slightly smaller, which is a consequence of the non-gravitational forces. This shift depends on the size of the particles. As a consequence, you see this bimodal distribution for every cloud of particles of the same size, but it is visually replaced by a flat if you consider the final distribution of the whole cloud. Just because the location of the second peak depends on the size of the particles. Moreover, dusty particles have a pericenter which is slightly closer to the one of Jupiter than the asteroids, this effect being once more sensitive to the size of the particles. However, the inclinations are barely affected by the size of the particles. In addition to those particles, which remain in the coorbital resonance, some escape. Some eventually fall on Jupiter, some are trapped in higher-order resonances, and some even become coorbital to Saturn! As a conclusion we could say that the cloud of Trojan asteroids is different from the cloud of Trojan dust. But there are no observations of dust at the Lagrange points… yet. NASA will launch the spacecraft Lucy in October 2021, which will explore Trojan asteroids at the L4 and L5 points. It will also help us to constrain the micrometeorite bombardment in these regions. and the homepage of Jürgen Schmidt.